Saatchi & Saatchi's Kate Stanners and Justin Billingsley are two of several promotions to be announced today at Publicis Communications' global leadership meeting in New York. 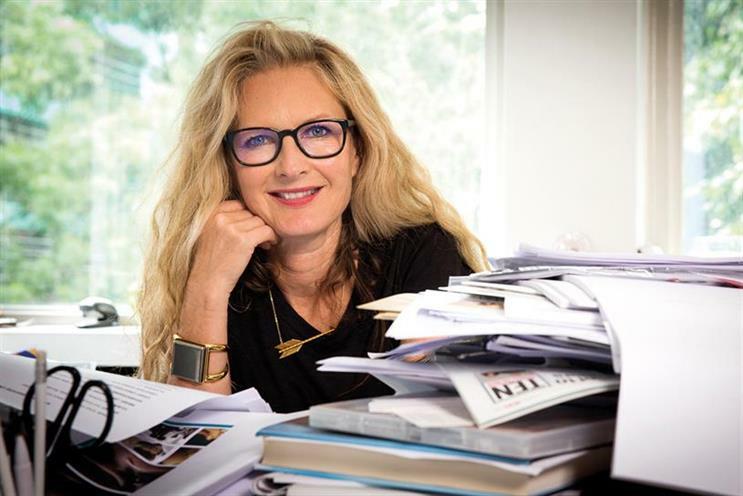 Kate Stanners, the global chief creative officer at Saatchi & Saatchi, will add the global chairwoman title to her existing role. Kevin Roberts resigned from the executive chairman role in August following controversial remarks he made about gender diversity. Meanwhile her colleague Justin Billingsley, the global chief operating officer at Saatchis, will become part of a new local management team for Publicis Communications to aid collaboration between the agencies. Billingsley will be chief operating officer for Publicis Communications in Latin America and Europe, while Loris Nold, the chief executive of Asia-Pacific, Africa, Israel and Turkey at Publicis Worldwide, will do the same for Asia, the Middle East and Africa. Arthur Sadoun, the chief executive of Publicis Communications, said: "Our ambition is to be our clients’ indispensable creative partner in their transformation. With these appointments, we are creating closer ties with Publicis.Sapient to deliver the interdependent model of the future to all our clients. "We are strengthening our leadership teams to continue to raise the bar for creative excellence. And last, but not least, we are reinforcing the spirit of the Power of One, by simplifying our structures at local level to foster greater collaboration and seamless access to resources. "In just nine months, our approach has delivered some fantastic results, and I know that with these latest moves the best is yet to come." Publicis Communications has two new global co-chief strategy officers: Carla Serrano, the chief of Publicis New York and Bill Kanarick, the chief strategy officer at Publicis.Sapient. They will continue to hold their existing roles and have been asked to ensure clients get the best from the group’s technology, data and creative offers. Andrew Bruce will become chief executive of Publicis Communications North America, while Kurt Ritter will be the region’s chairman and Suellen Ravanas becomes chief finance officer. As explained above, Billingsley and Nold will also become COOs for Publicis Communications. Judy John, the chief executive and chief operating officer of Leo Burnett Canada, who will retain her CEO title, will become chief creative officer for North America. While her colleague Brent Nelson will become chief strategy officer of North America. He is currently executive vice president, chief strategy officer of Leo Burnett Canada. Both will join the leadership team formed by the global chief executive Rich Stoddart with Mark Tutssel, global chief creative officer and creative chairman of Publicis Communications. Valerie Henaff will become global president, in addition to her role as chief executive of Publicis Conseil, the French arm of Publicis Worldwide and the network’s flagship agency. She will work alongside the recently promoted Bruno Bertelli, the brand’s global chief creative officer and Arthur Sadoun, who continues to be chief executive of Publicis Worldwide. As explained above, Stanners will become global chairwoman of the global creative network.